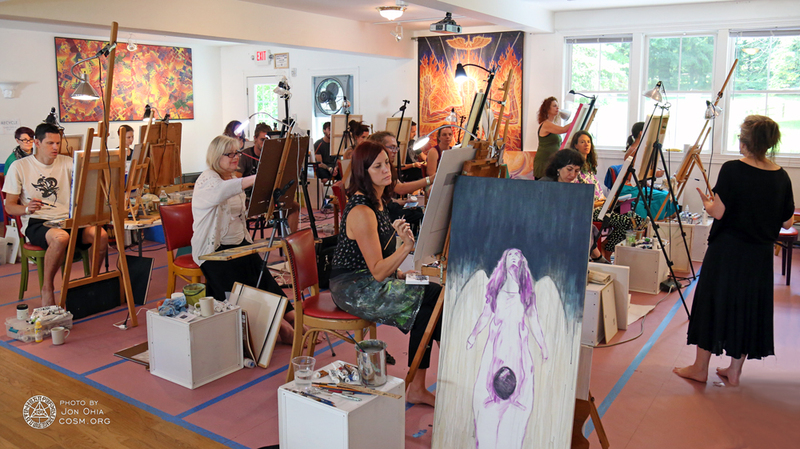 CoSM’s annual Visionary Painting Intensives are a rare opportunity to evolve and create with artists of diverse backgrounds and exceptional skill. 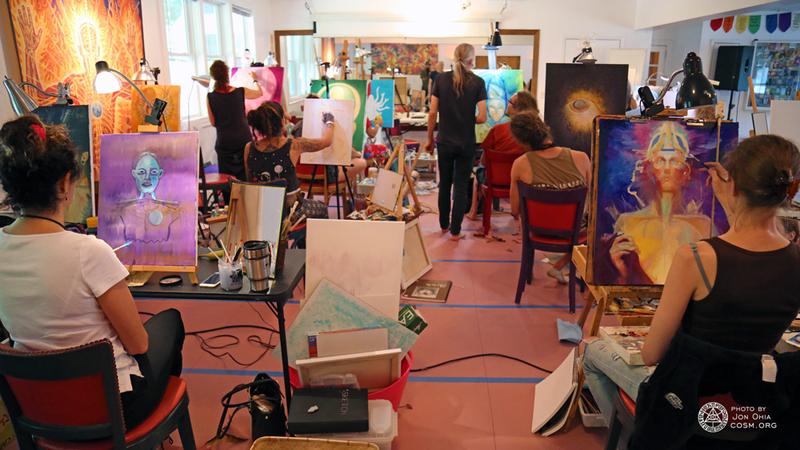 The practice of painting united each participant as they dove into seven days of exploratory creation. 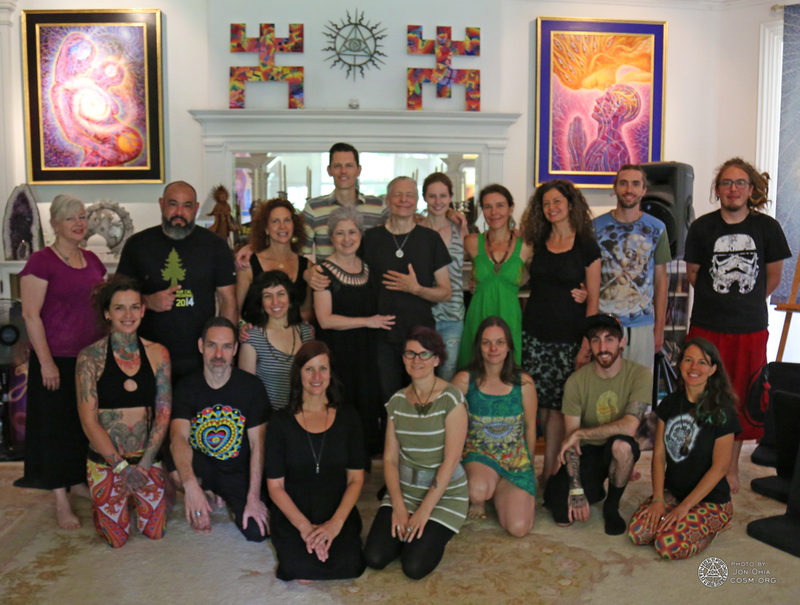 Alex Grey & Allyson Grey hosted the workshop, sharing studio time and personal insights with the class. Self portrait exercises displayed each artist’s inner magic. Transcendental imagery emerged day by day through concentrated effort and intuitive allowing. 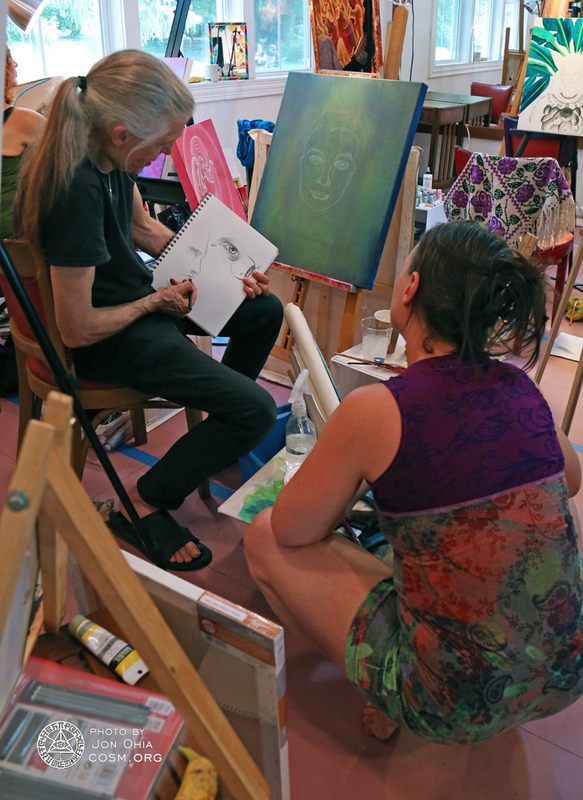 Each painting intensive at CoSM is a unique jewel of an experience. This year confirmed how truly infinite the variety of expression can be. 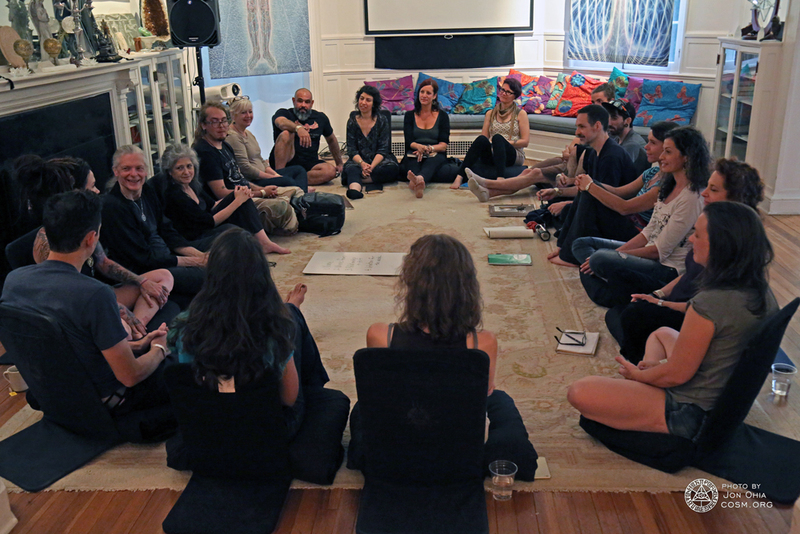 Thank you to the artists who helped create and sustain the harmonious space, and for making this week unforgettable. Class in full attendance as they immerse into their works. Progressions we made during the timeless studio sessions. 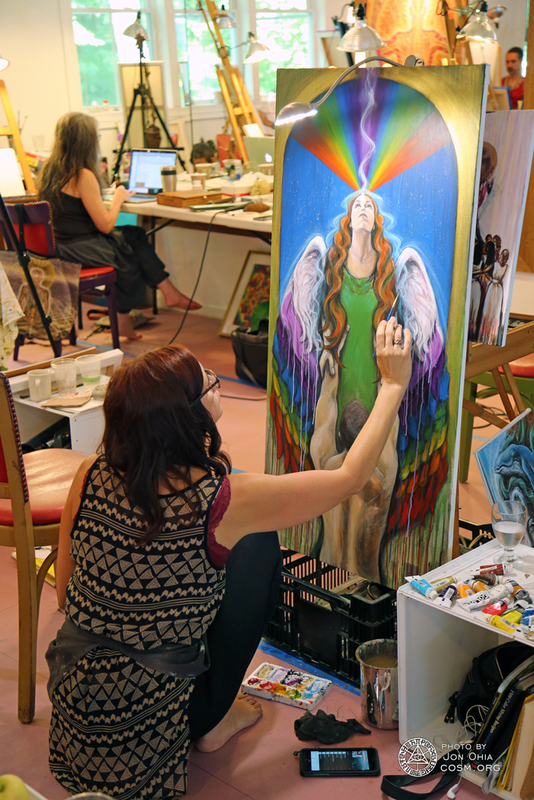 Creating a full color spectrum masterpiece.